Assassin’s Creed Odyssey is ready to be shipped. 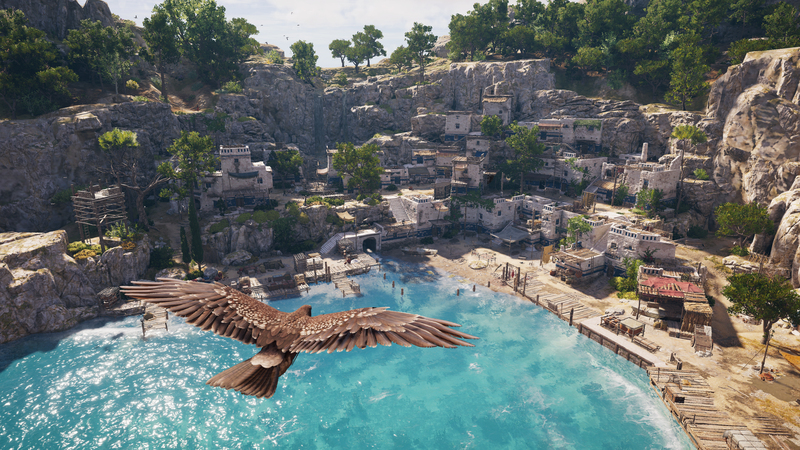 The official Assassin’s Creed odyssey Twitter page confirmed the upcoming Greek-set video game has gone gold. Essentially, that means work on is complete on the base game, and it can be sent to be manufacturers. Of course, that doesn’t mean the developers are pulling away from the game. It will likely continue to get tinkered with. However, Assassin’s Creed Odyssey is playable. Assassin’s Creed Odyssey ships very soon on October 5, 2018, so this isn’t exactly surprising news. But it is notable for those waiting to finally explore Ancient Greece for themselves. The newest entry in the long-running series brings a long list of changes to the franchise. According to the developers, it fully transforms the franchise into an RPG. It introduces player choice as a core concept, which even boils down to who you choose to play as. We’re going to be seeing a lot of Assassin’s Creed Odyssey in 2018 and 2019. Ubisoft recently detailed its season pass, which includes two episodic “story arcs.” Despite Assassin’s Creed as a series taking 2019 off, expect to see plenty of Odyssey content in its place.